One of the news stories this week gives a suggestion of 5 ways to prevent birds from crashing into your windows. Sadly only two of these options make any sense to us here at All About Blinds and Shutters. If you followed their advice you’d have dirty windows covered in fodder. We know you’d rather have clean windows that look radiant enough for a bird to try and crash through them. We also know you don’t want to hurt birds. So here’s our take on the news. So let me give you a quick background. The Washington Post commented on how prevalent bird and window collisions were. An environmentally conscious blog then wanted to help prevent those deaths. A noble cause to be sure. But, we’re just asking ourselves how realistic the suggestions are. They gave 5 ideas. Only 5. And yes, one of them was to have dirty windows. On a personal note, I’d feel bad if a bird ran into my windows. However, I’d also be proud of how clean the window must be for that to happen. So I’d have mixed emotions to be sure. I don’t want to see birds dying. I also don’t want dirty windows? So no, we’re saying clean windows is a must. Dirty windows is not an option. That brings us to 4 options. Another idea was to mark up the window. Seriously? Yup, they even have a picture of a guy marking the window with blue tape. They suggest some type of “laying tape’ of even markers and paint. Now I don’t know how strict your HOA is, but that wouldn’t work in my neighborhood. And no, I don’t want it to work. Again, I’d like clean windows. So we’re down to 3 options. Then they had an idea of what to do inside the house. They said don’t put plants near the window. Apparently it confuses the bird. They look through your clean window and imagine that landing on that plant would be nice. So if you just remove temptations from the other side of the window, problem solved! Uhhh, we’re not too fond of this either. Look, there aren’t a lot of plants near my windows. However, telling people how to decorate their interior, especially an indoor plant lover? Not a great idea unless your an interior designer. If you have indoor plants, chances are you love them and have several. Even if you only have one though, doesn’t it need sunlight? Doesn’t it need to be near a window? Isn’t caring for the plant noble too? Down to 2 options, but don’t worry, 1 of these is extremely viable. We’ll get to it shortly. First lets talk about the one that shocked us the least. They wanted to put a bird feeder 3 feet from the window. The idea is that the bird is swooping along, thinking about being David Copperfield, and going through a window when it sees FOOD!! So naturally, it takes a pit stop and indulges. While it’s perched there it gets a closer look and realizes, “that’s a window! Better not go in their house.” Hmmm, OK, not entirely absurd like the other three options. But just to clarify, the assumption here is that all birds are near-sighted right? Like, they can’t see the window until 3 feet out and by then they’re going so fast they can’t stop or make a last second turn. I would say that hasn’t been my experience with birds. I’m no experienced bird watcher though. What I know is that when they smack into my window (the two times I’ve seen this at my houses) there is no attempt at slowing. It’s full throttle. And when I watch them, I’m impressed with the way they can turn on a dime. So I’m thinking the birds that run into my windows have their gluts run through their mind before the idea of a window runs through their mind. If the idea is that they just can’t turn away in time I’m going to say, “batsu”. Japanese for “Wrong Answer”. If they were going to see the window at 3 feet they’d see it and turn. If a little time spent examining the clean windows discourages a few, I think it might be cancelled out by the increasing number visiting the window because of the food. But at least with this option no one is killing your plants and making your windows messy. So again, not a terrible solution if you can find a nice bird feeder to look at. The last option made the most sense to us. By now we hope you’ve thought of it on your own. It just seems so natural and simple. Shut the curtains from time to time. We’re not saying they should always be closed by any means. 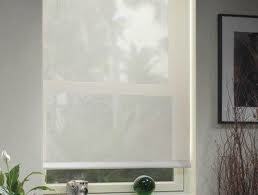 However, we will say, a shut curtain solves the problem pretty easily. Not only that, but there are sheer curtains that look amazing and even romantic on a window. They still allow light in while giving you privacy. And, they apparently have the added benefit of discouraging the magic-driven-birds from trying to fly through a wall. There are even solar shades for the outside of the window. There are so many beautiful options that you could design your own window just the way you want. As opposed to listening to how the trending news would have you redecorate. We propose you decide. 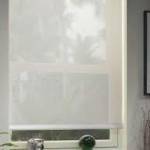 Take a look at the products pages and find a window shade or blind that suits your needs. Then you get to choose your interior and exterior design while still being environmentally conscious.